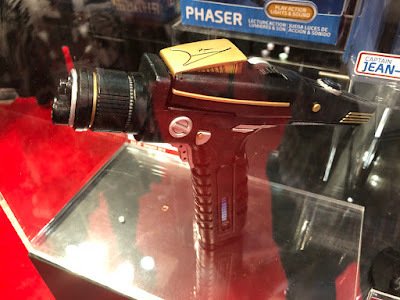 The Discovery phaser will be their first role-play item, and they expect to release it towards the end of the summer or early autumn. 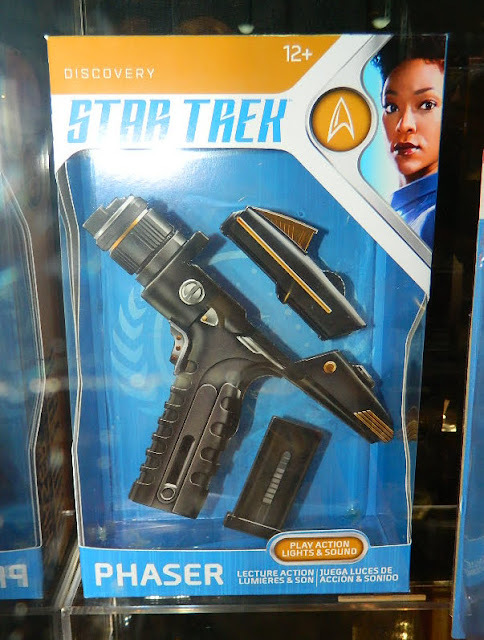 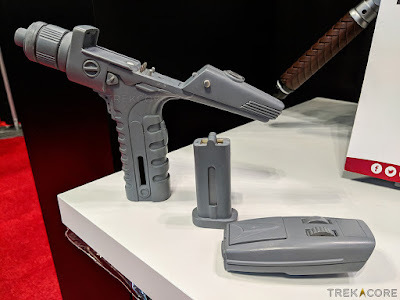 It can separate into three parts, including the small hand-phaser on top, and the battery pack inside the grip; the mock-up of the packaging they had on display even suggest they will package it in exploded form. They also had a painted version on display, and to hand a prototype to demonstrate all the light and sound features. Images below come via Awesome Toy Blog, Figures.com, and TrekCore, and you can see more on all of those, but you should definitely check TrekCore's coverage especially for a really good look at the prototype. These first two figures have been available for pre-order for a while already, with Entertainment Earth currently expected them in April. 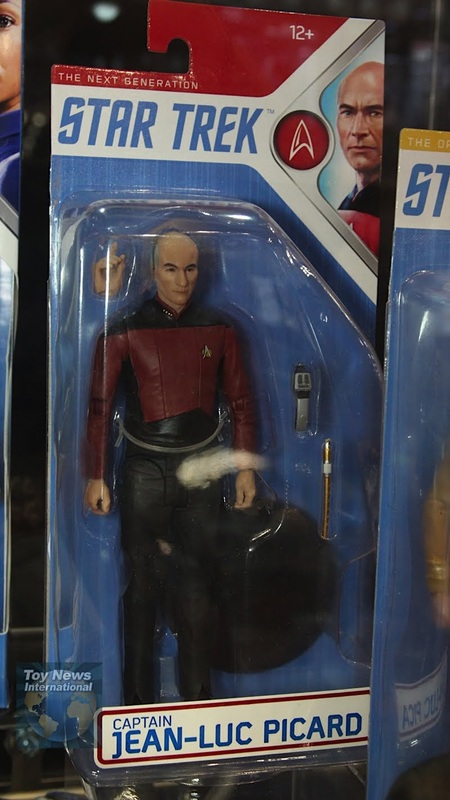 Pre-order Captain Picard: Entertainment Earth, Forbidden Planet. 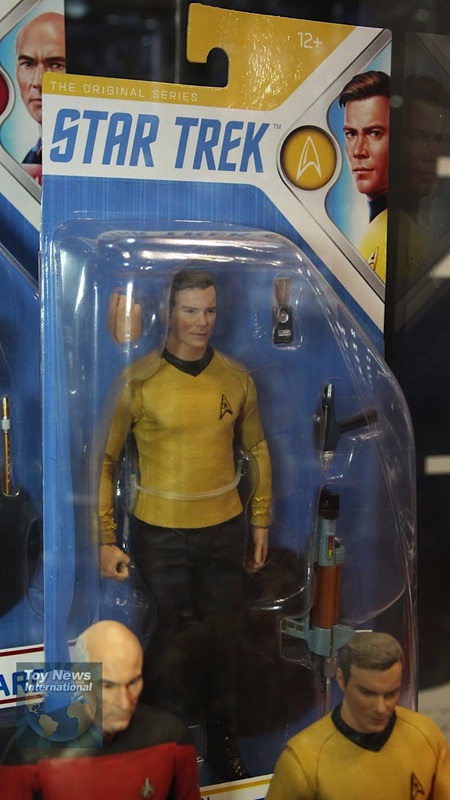 Pre-order Captain Kirk: Entertainment Earth, Forbidden Planet. 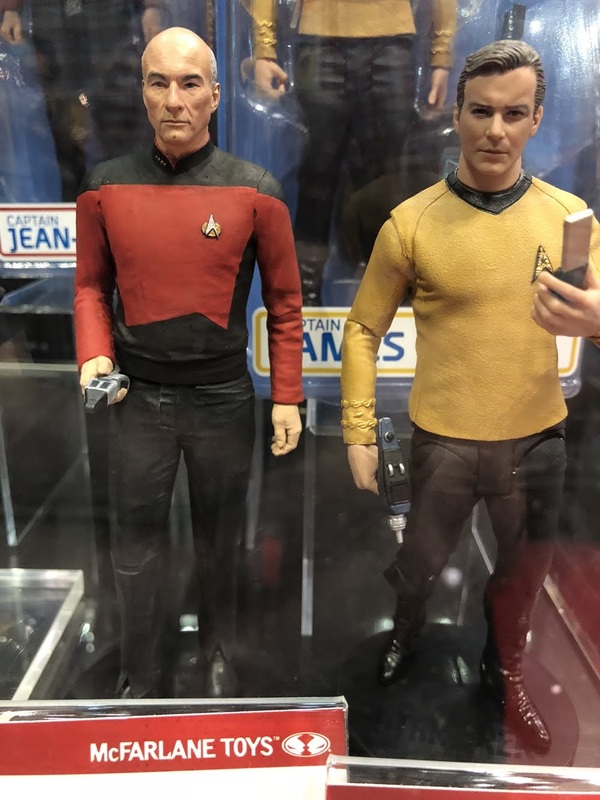 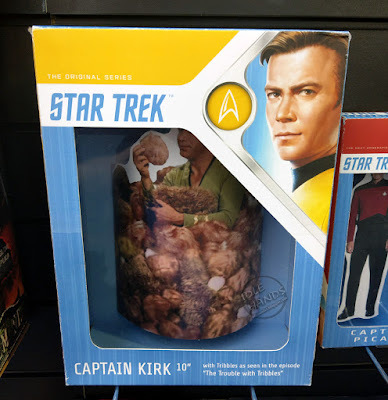 To stay up to date on all the latest Star Trek toy and model releases, check my 2018 schedule page, and for listings of various ranges, including the McFarlane action figure line, see Trek Collective Lists.